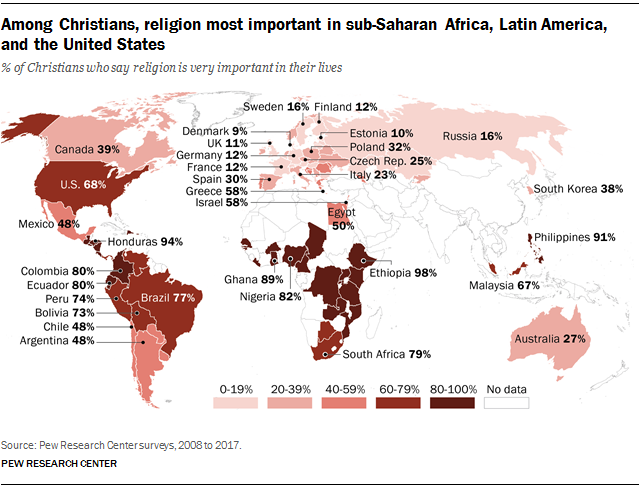 Pew Research recently conducted a study on what being a Christian looks like in different countries around the world. The study found that the most committed Christians in the world live in Africa, Latin America and the United States. The United States came as an outlier, compared to other wealthy nations that exhibited minimal practice and commitment. The study showed that Christians in Africa and Latin America pray more frequently, attend religious services routinely and hold religion in high esteem, all compared to other countries around the world. 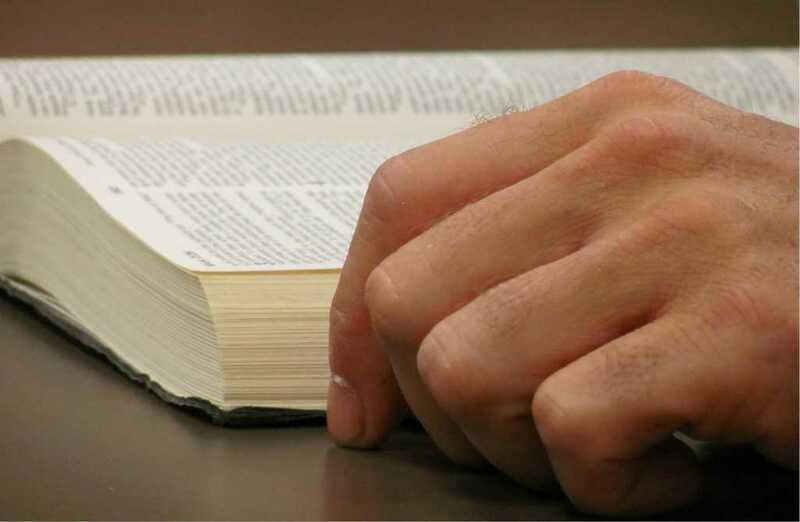 The study also discovered that Christians in the United States have a higher level of commitment to their religion, compared to other Western countries. Pew looked at a total of 84 countries that have the largest Christian populations, and then asked a series of questions to individuals who self-identified as Christians. Ethiopia was ranked number one for having the world’s most committed Christians, with 98 percent of self-identified Christians stating their faith is very important in their daily lives. A close second were the self-identified Christians in the Philippines with 91 percent saying their faith was important in their lives. In the United States, 68 percent of self-identified Christians stated that their faith was important to their lives. This statistic is particularly significant when viewed against the response of Christians in other Western countries: 58 percent in Greece, 30 percent in Spain, 23 percent in Italy, 12 percent in France, 12 percent in Germany and only 11 percent in the United Kingdom said that their Christian faith was important to their lives. Pew also asked those surveyed about their daily prayer life. 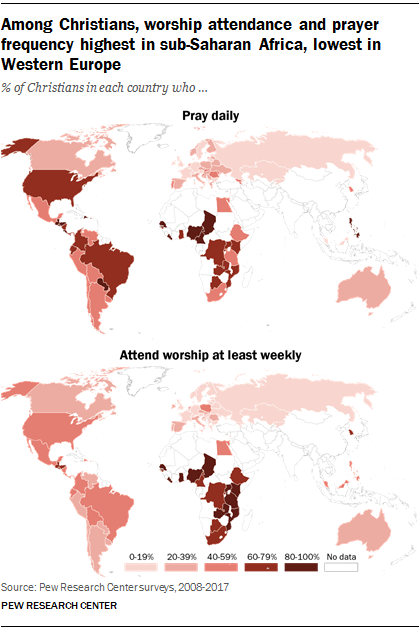 “Christians in Africa and Latin America also tend to pray and attend church at higher rates than Christians in most of the rest of the world. For instance, at least four out of five Christians in Nigeria, Liberia, Senegal, Cameroon and Chad pray every day,” the report notes. They found that prayer life in most European countries was dramatically low. It was found that less than 10 percent of self-identified Christians in Austria, Germany, Switzerland and the UK pray daily. Given those statistics, it shouldn’t be surprising that only less than 10 percent of Christians in nine European counties attend church each week. These numbers point to a declining trend in committed Christianity in wealthy Western countries, while poorer countries around the world are seeing an increase.